Want to be a part of a stop the tour? Our mission is to find ways for brands, events, and fans to work together to create incredible experiences- and that's exactly what this is. We've created a high visibility opportunity for brands to engage authentically with an involved audience, market on-site, and build outstanding content. Make no mistake, this show was designed to turn fans of the event into the true celebrities. 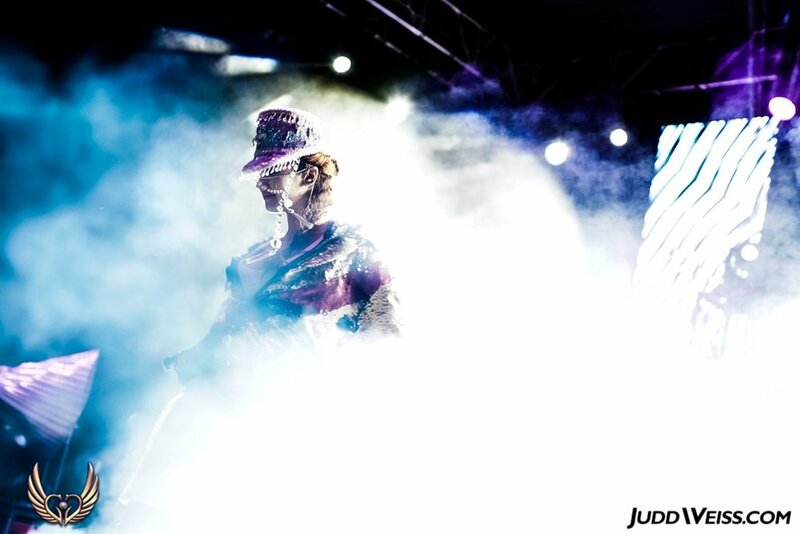 The models we pick get to strut down the runways of their favorite festivals... and the events we partner with get a captivating production that dramatically amplifies engagement within their existing audience. This health and wellness activation is a perfect, theme-able environment for any event. From virtual reality to light therapy to flavored oxygen bars, we work with leading technology companies to tone this lounge for relaxation, stimulation, or any mood in between. 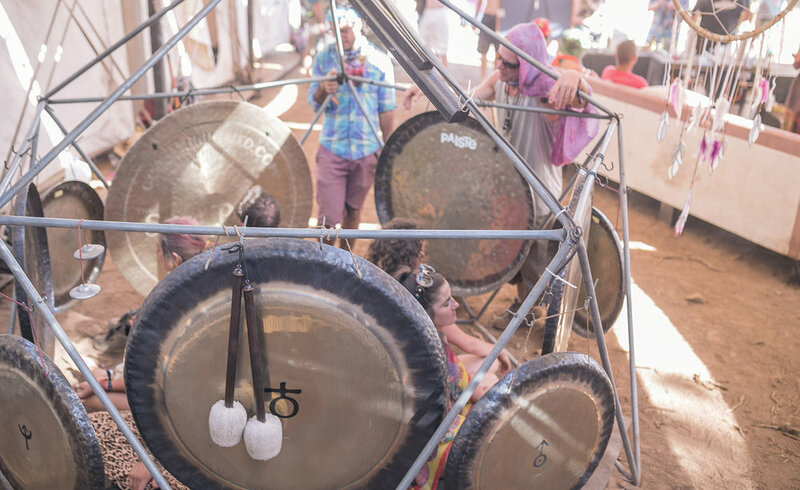 On Whet Travel's Groove Cruise & Oregon Eclipse Festival, we've even coupled this activation with immersive workshops to maximize guest's experience. The Sun Models performance team uses character design to drive attendee engagement and brand loyalty in event spaces all over the country. 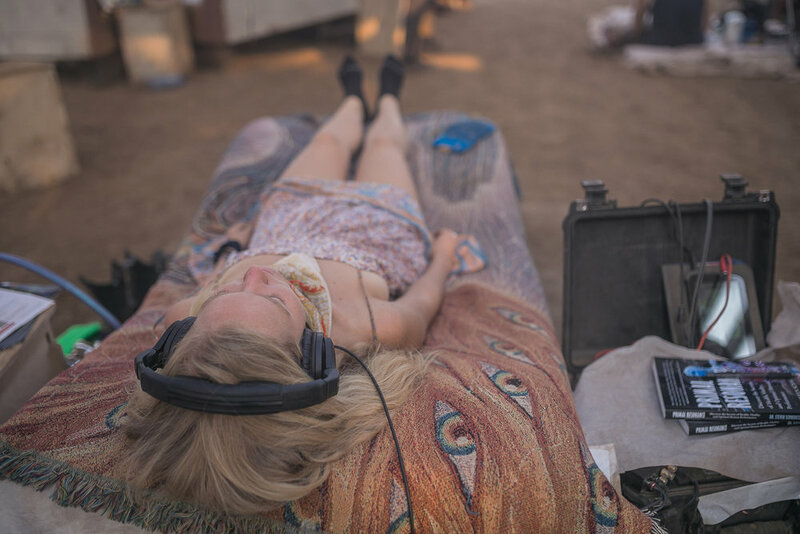 We've facilitated activations for leading nootropic company KATY LOVE, as well as leading festivals with Insomniac, Relentless Beats, Hades Entertainment, and more. We'll help codevelop themes relevant to your audience, implement them at the perfect event, and capture content on-site. If you liked The Oz Experience we co-created for Groove Cruise, we can adapt a gamified story lounge to your brand or event. 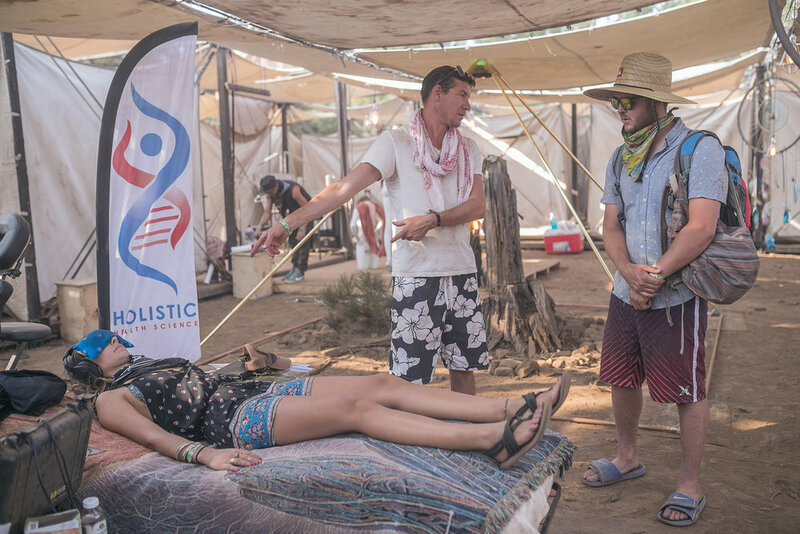 Designed to drive engagement through a combination of performance and sponsorship, The Storyline is an experience-driven environment for community building, networking, and decompression from the nonstop action of any event. Using leading technology such SUBPAC sound vests, we focus on the next generation of sensation-based entertainment. With a focus on the synthesis of previously uncombined technology, we design environments that enhance & encourage users to connect with each other. The user is able to amplify aspects of his or her own personal experience, all the while sharing a totally new play-space with other VIP attendees. This activation is ripe for brand integration, connecting with users in a completely novel environment. Curious how to implement this? Open for experiential activation, this traveling modular hotel sees some of the biggest name festivals in the world. It provides premiere "glamping" experiences including restaurant style dining with international chefs, open bar, and "Participatory Hotel Theatre" to an affluent community of event professionals. The Lost Hotel averages 8k attendees per event and will be in the center of VIP for Oregon Eclipse. Limited spaces are available to debut experiential activations in front of some of the most prominent figures in the event industry. CURIOUS HOW TO IMPLEMENT YOUR BUSINESS? Our partners in Social Good, they've developed a digital platform that connects music artists, fans and worthy charities together to measurably change the world. With a patented social impact tracker, they've gamified the process too. Orpheus Self-Care Entertainment provides embodied interactive experiences designed to harness the power of mindfulness and video games. This allows the player to effortlessly achieve positive results for their mind and body through meditation, dance, artistic creation, and more. At Theta Wellness, we partner with INNERgy Development to bring the best of innovative non-invasive technology and alternative medicine to best suit our client’s needs and ease them into a unique healing experience. We use a combination of binaural audio beats, light stimulation, vestibular stimulation, micro-current signaling and nogier frequencies assists the body’s natural healing process and possibly accelerate it. These dome environments are where art, music, and education converge with virtual reality. 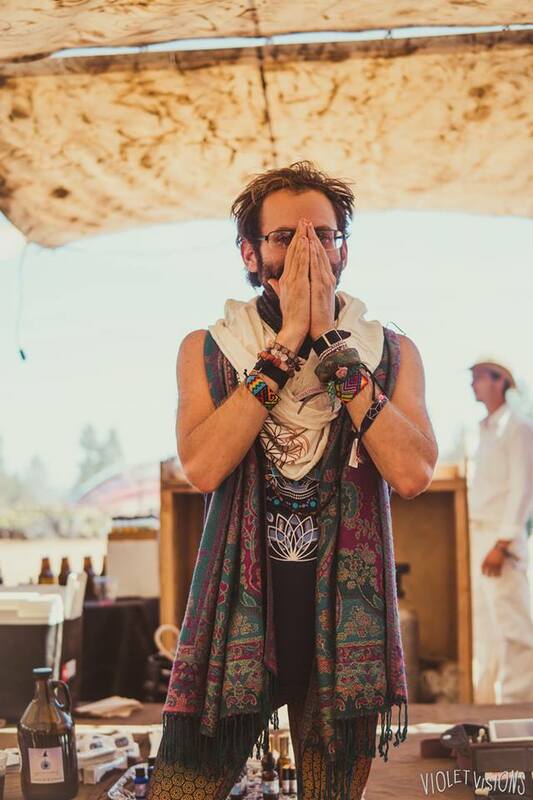 Playing host to popular visionary artists like Android Jones, and hosting activations for the likes of Pepsi & Intel, these are the perfect spaces to create a raving fan experience. We are world builders, storytellers, and interaction designers shaping new dimensions of human experience.